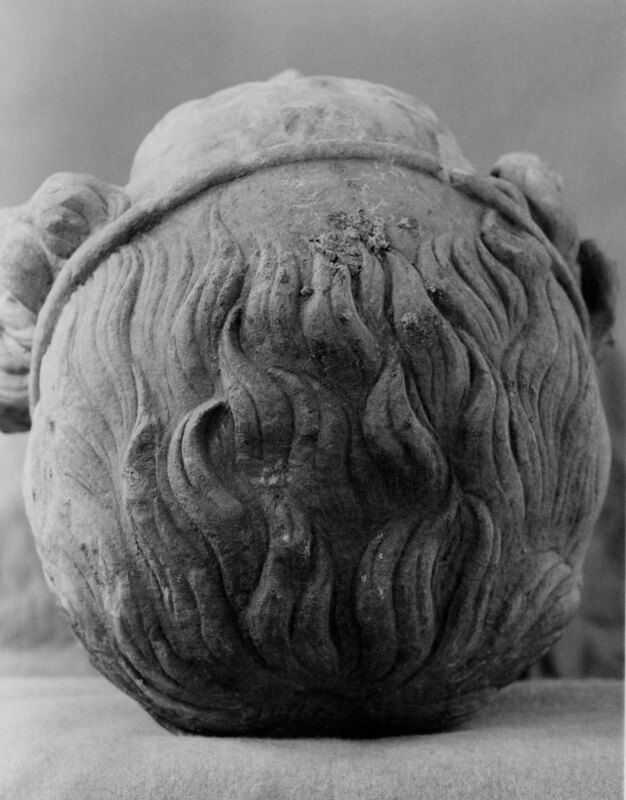 late 1st century B.C. 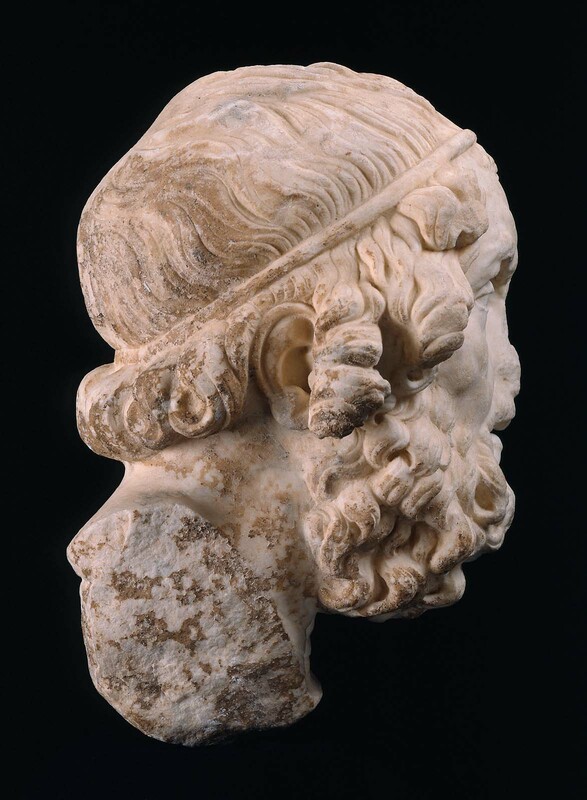 or 1st century A.D.
Sculpture in Stone (MFA), no. 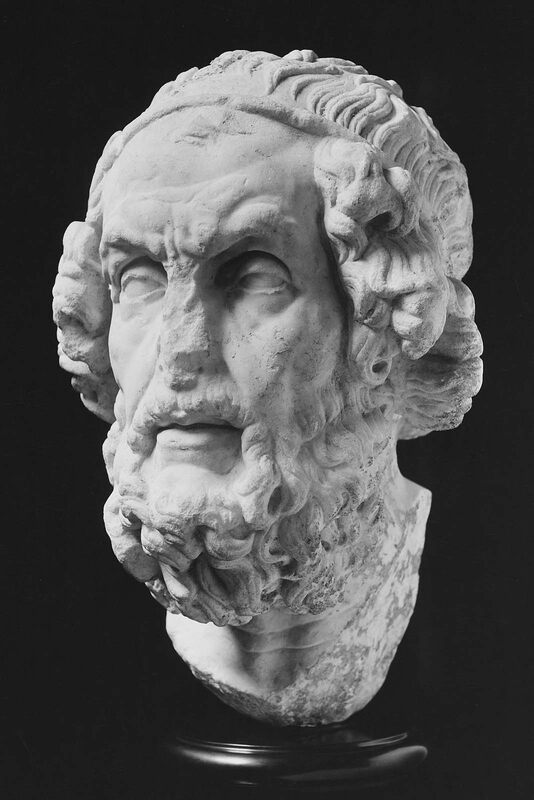 119; Sculpture in Stone and Bronze (MFA), p. 109 (additional published references); Highlights: Classical Art (MFA), p. 059-060. 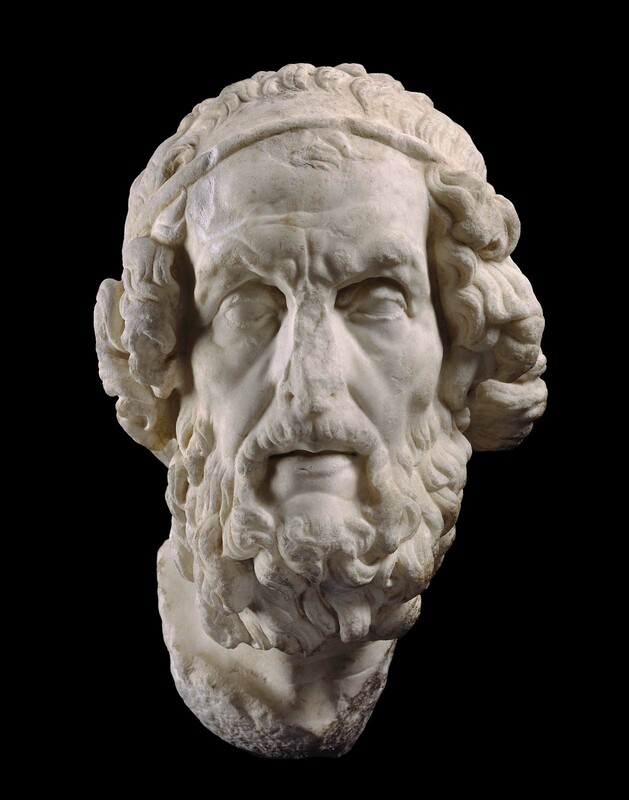 Rare pseudo-portrait of Homer of late Hellenistic date, probably based on the earlier baroque style of the second century Pergamene School. 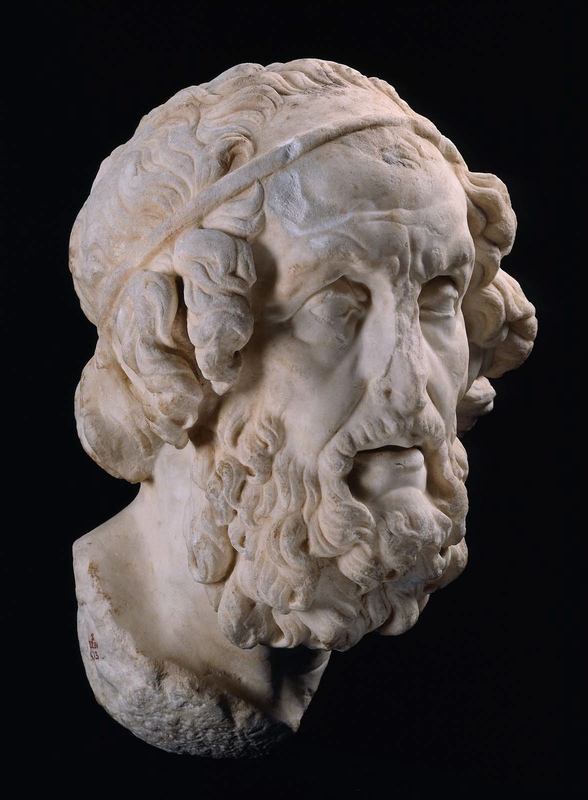 This is an Invented image of the author of the Iliad and the Odyssey. Unruly hair, knitted brow, suggest the intensity of the sage; treatment of the eyes reflect the ancient tradition of the blind bard. The base of the neck is worked for insertion. Most of the nose is missing, as is a fragment from the right side of the neck. Otherwise, the preservation of the surface is almost perfect, and the sculpture has a clean, very light yellow appearance.